One of the best-known of the abandoned constellations because it has given its name to the annual meteor shower known as the Quadrantids that radiates from this area every January. Quadrans Muralis occupied what is now the northern part of Boötes, near the end of the Plough’s handle (or, alternatively, the tip of the Great Bear’s tail). The constellation was invented in the 1790s by the French astronomer Joseph Jérôme de Lalande (1732–1807), director of the observatory of l’École Militaire in Paris. 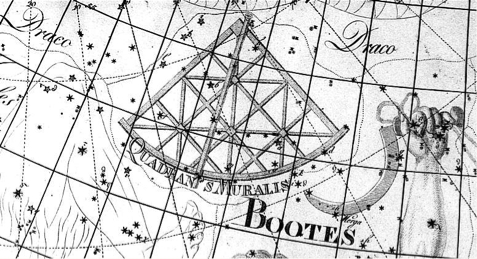 It commemorated the observatory’s wall-mounted quadrant (‘muralis’ is Latin for ‘wall’) that he and his nephew Michel Lefrançois de Lalande (1766–1839) used for measuring star positions. 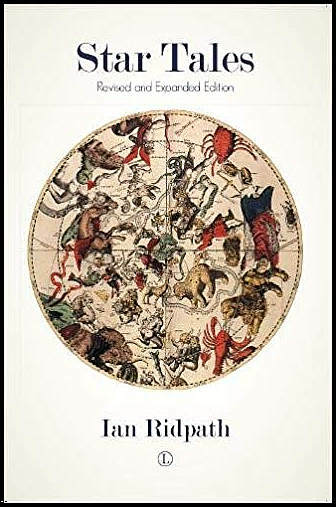 Lalande took his cue from his countryman Nicolas Louis de Lacaille who, forty years earlier, had populated the southern sky with new constellations representing scientific instruments. Lalande followed suit by putting a quadrant in the northern sky. Quadrans Muralis first made its appearance under the name Le Mural in the 1795 edition of the Atlas Céleste of Jean Fortin, another Frenchman. The first edition of the Atlas had appeared in 1776; this revised edition was edited by Lalande and his colleague Pierre Méchain. The new constellation appeared on Plate 2 of the atlas but was not mentioned in the accompanying star tables, which remained unchanged from the first printing. Lalande published a table of circumpolar stars in 1796 in the Connaissance des Temps in which he listed nine stars of 5th to 7th magnitude as belonging to the constellation, although more than this were shown on the atlas. Johann Bode Latinized its name from Le Mural to Quadrans Muralis in 1801 on his Uranographia star atlas (see illustration below). Bode shrank the constellation slightly by comparison with Lalande’s original to avoid overlap with its established neighbours. It was evidently considered sufficiently well established in the 1830s when the Quadrantid meteor shower was first recognized and named, but even this was not enough to save it from extinction by the end of the 19th century. Quadrans Muralis lay just above the outstretched arm of Boötes, with the body of Draco further north. It is depicted here on Chart VII of the Uranographia of Johann Bode (1801). For Lalande’s original see here.